All apartments at Cedarwood have their own private balconies with gas BBQ’s on them and gas is free. this apartment is on the north side of the building so the views are of the Kiewa Valley and the village bowl. For a couple or 2 singles this is ideal. This compact Studio Apartment is perfect for those not needing full cooking facilities or on a budget with everything you need. Studios 6 can sleep a maximum of 2 people. 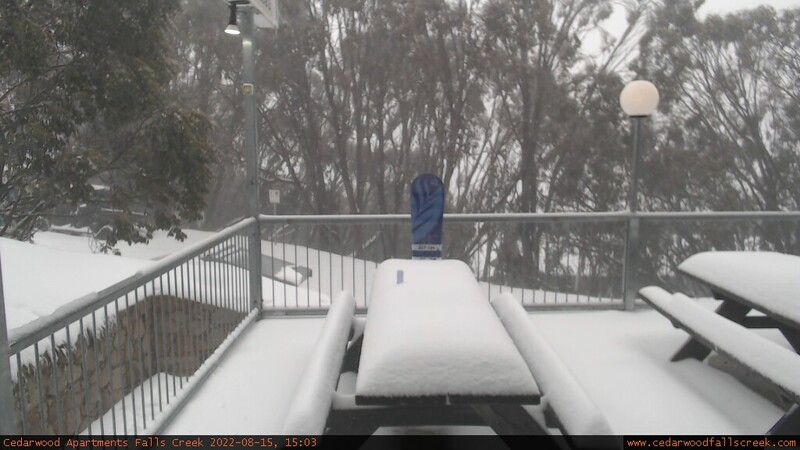 Cedarwood Management Services strongly recommend that guests have ambulance cover and take out travel insurance for their holiday to Falls Creek. Aussie Travel Insurance offers cover for snow holidays so try them on 1800 888 448. Cedarwood Apartments prefer bookings made directly with our office to ensure that you get all of the information you need and so that you get the best apartment to suit your group. Once you decide to stay at Cedarwood you will be required to pay a 50% deposit when making your booking if booked directly with Cedarwood (bookings through 3rd party sites pay in full on booking). Payments are usually made by direct deposit into our account over the internet, or with Mastercard or Visa over the telephone. The remaining balance of your booking fee is due no less than 45 days prior to your arrival date at Cedarwood again via direct deposit or card. If your arrival date is less than 45 days after the booking date you will be required to pay the full amount on booking unless other arrangements are made. Cancellation Policy: Should for some reason you have to cancel your booking a cancellation fee of 15% of the total booking fee will be charged. If you cancel more than 45 days before your arrival date a full refund of the monies paid less the cancellation fee will be given. If you cancel less than 45 days before your arrival date a refund less the cancellation fee will only be paid if the apartment is filled for the period that you have booked it. If the apartment is filled for part of the booked period you will receive a partial refund less the cancellation fee. If the booking is not re filled no refund will be given. Maximum occupancy Policy: Each apartment in Cedarwood has a maximum occupancy. This number varies between apartments and is based on the number of beds within it. Cedarwood does not allow extra people in our apartments over the maximum number and exceeding this number will result in your group being unable to check in on arrival until alternate accommodation is secured for the extra people. Extra people refers to persons of all ages including children, babies and toddlers regardless of whether or not they require an actual bed. Guests found breaching this policy will be asked to find alternate accommodation for the extra person/persons or the entire group will be evicted without refund. No Snow Policy: in the event that during the designated snow season Falls Creek is unable to open 3 runs for snow sports our no snow policy comes into effect 48 hours prior to your arrival date. If we do not have 3 runs open for snow sports guests have the option at this point and only at this point and no later to transfer their booking to later that same season or to the following summer season. No transfer fee applies unless the dates are changed a second time or more and transfers are subject to availability. 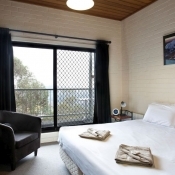 Cedarwood apartments falls creek is an on mountain apartment complex comprising of privately owned apartments and operated by cedarwood management services (narelle clark). 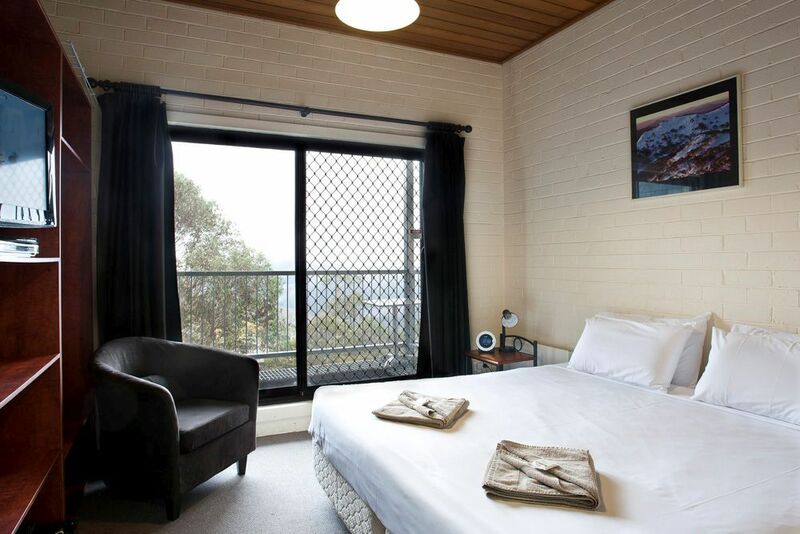 We have studio and self-contained accommodation and the highest penthouse apartment in falls creek. Year round bookings are now available. We take direct bookings. Cedarwood apartments not far from both the falls express chairlift/falls creek ski school, and the village bowl lifts.